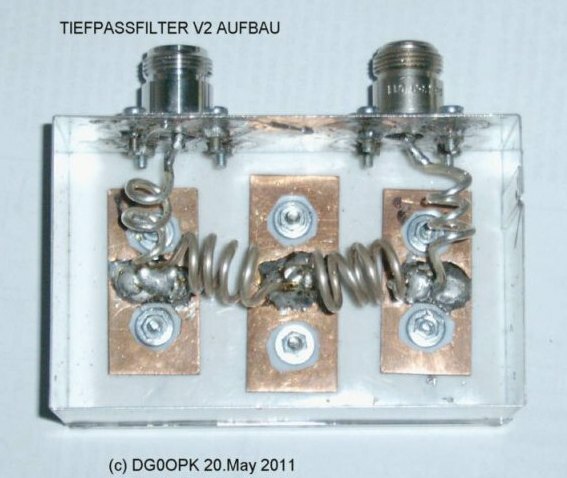 SECURITY SIGNALS (PROTECTION OF TRANSISTORS) AND THE SEQUENCER FUNCTION. 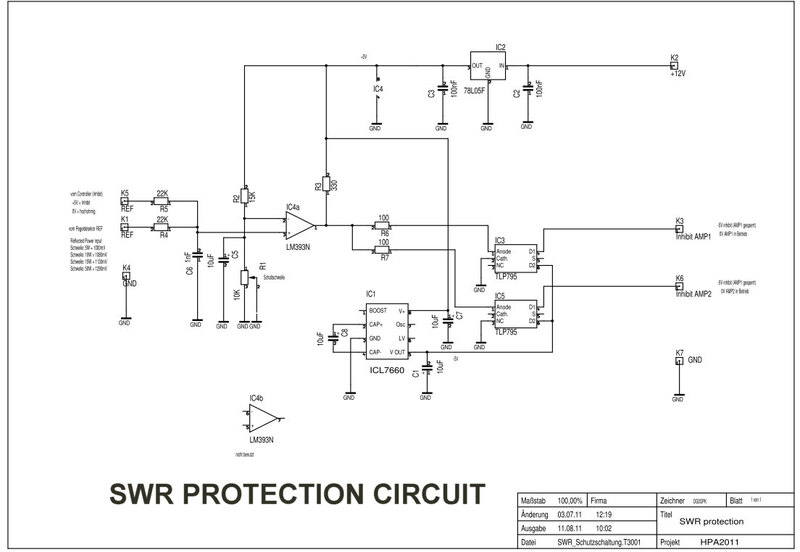 THE SWR PROTECTION CIRCUIT GENERATES -5V SIGNALS FOT THE INHIBIT OF THE RF-POWERMODULES. 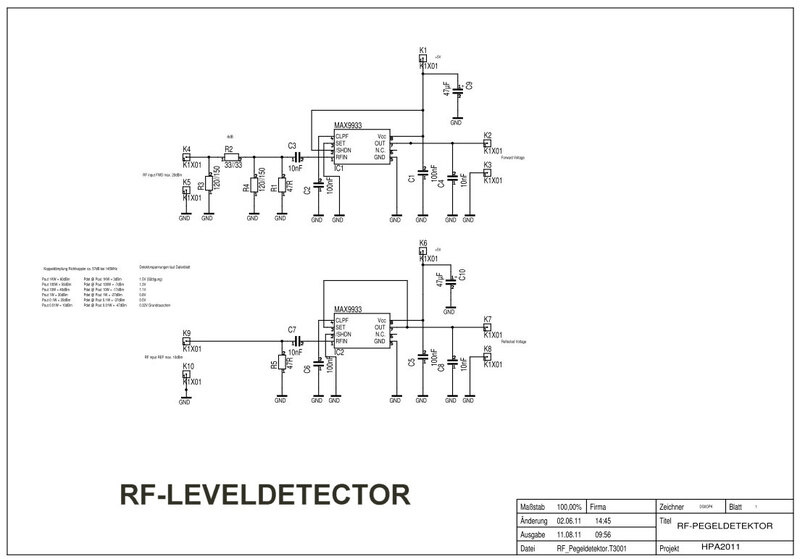 LM393 ACTS AS COMPARATOR FOR THE SWR SWITCH-OFF POINT. 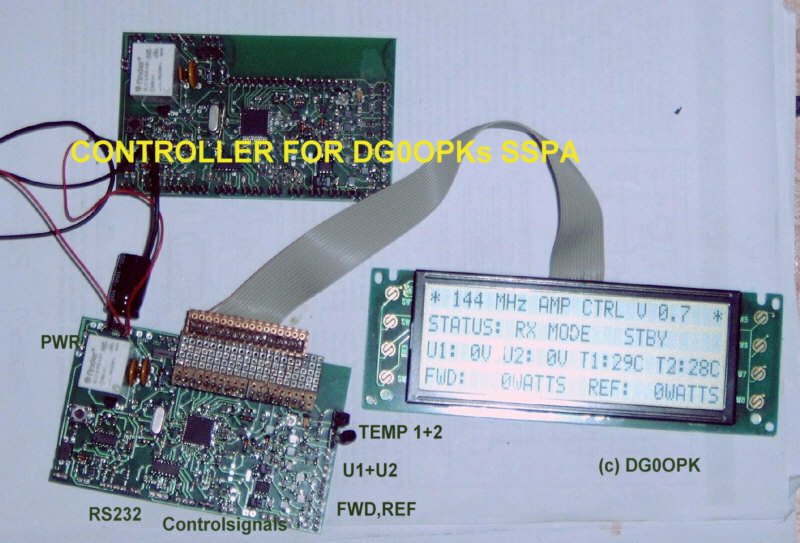 WHICH IS DB-LINEAR FOR FEEDING THE ATMEGA CONTROLLER. THE UPPER CHANNEL IS FOR FORWARD POWER SIGNAL. THE LOWER CHANNEL IS FOR THE REFLECTED POWER. 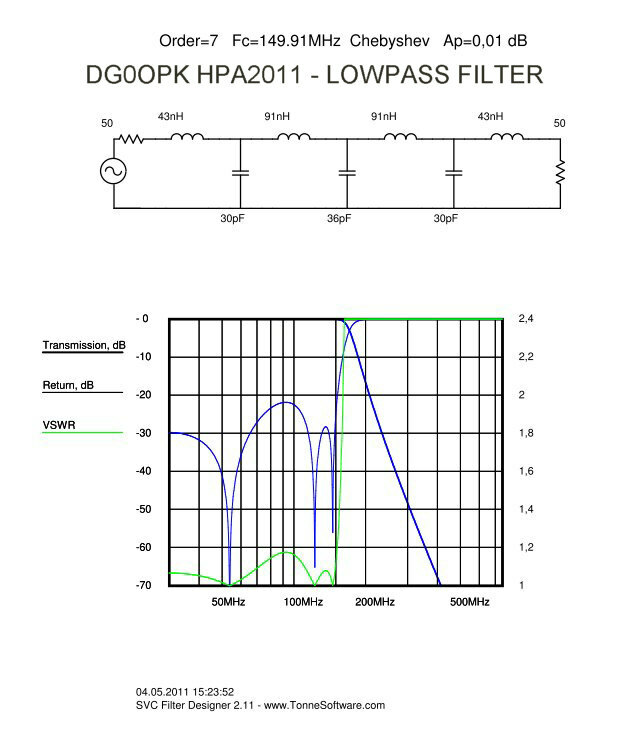 THE OUTPUT LOWPASS WAS DESIGNT USING THE ELSIE FILTER DESIGNER. 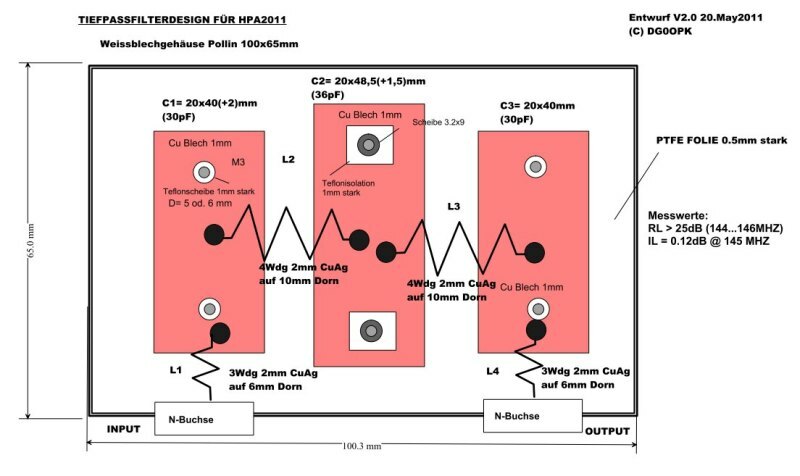 HERE IS THE CIRCUIT AND THE SIMULATION.